You don’t need eggs or bread crumbs to make breaded fish! 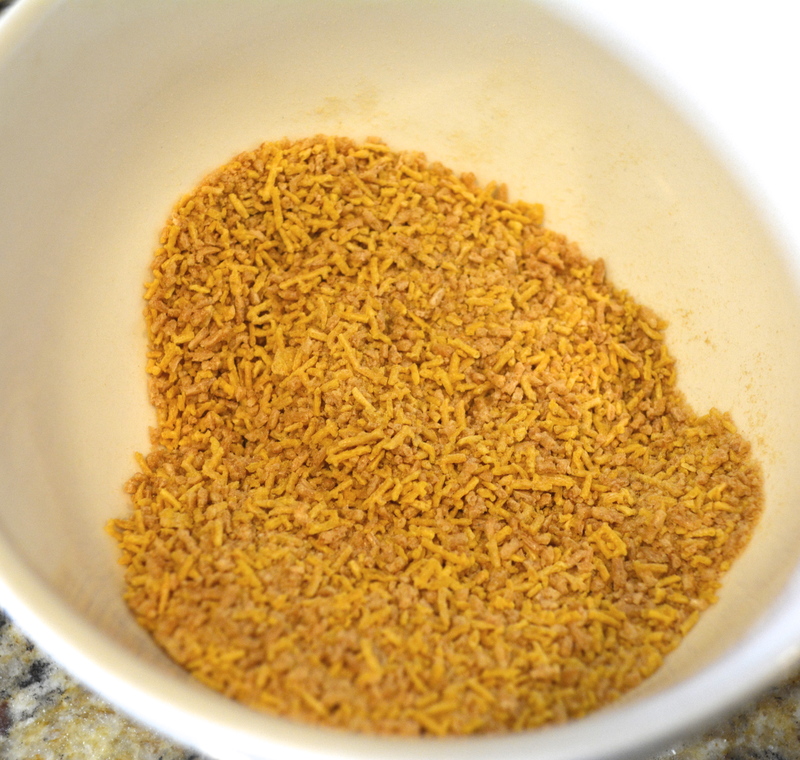 All you need is some gluten-free cereal or “bread” crumbs and a bit of oil! I’ve used Rice Krispies and Crispix, because I didn’t have any bread crumbs on hand. Maybe try corn chips or pretzels (if you can eat gluten). Here’s my basic recipe…. *May need more or less depending on what you are using for the breading. The bread crumbs usually do not contain salt. If you use cereal, it usually already has some salt in it so cut back the salt to 1/8. If you use cereal, you can have your kids help smash the cereal into crumbs in a zipper bag. They will love to do this! It can also help your picky eater become anxious to try the meal, since they helped create it and it’s made with cereal. Sometimes all it takes is a fun ingredient or a fancy name for them to try it! 2. 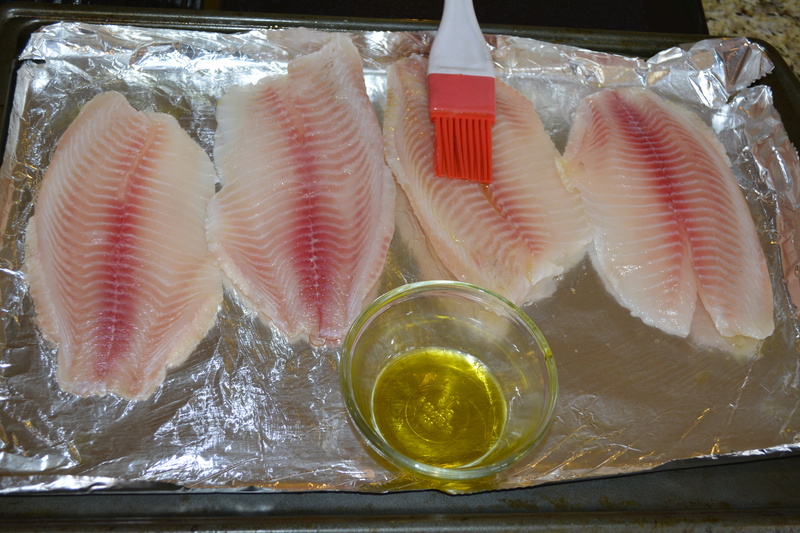 Brush oil on the pan, so the fish won’t stick to it. *When using the cereal, the breading became very sticky. I would not recommend putting cereal on the bottom of the fish if you use this ingredient. 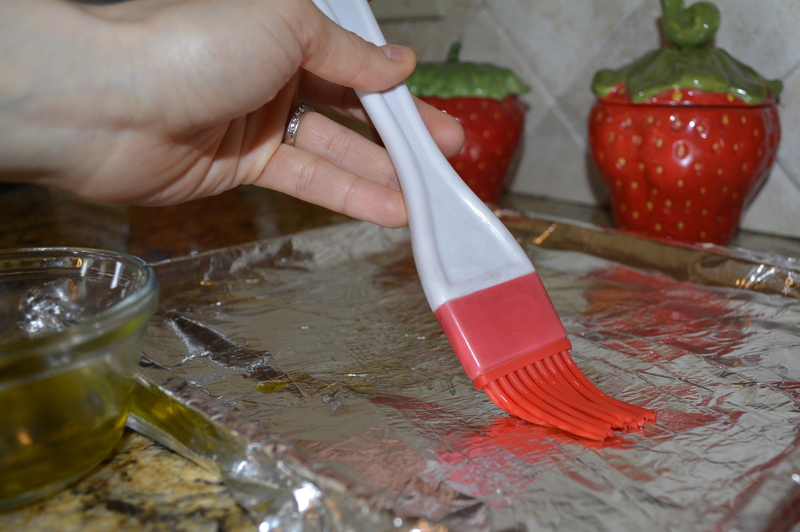 If you use just the bread crumbs, make sure the pan is oiled so that the crumbs do not stick. I do this all the time with the gluten-free bread crumbs with no problems. 6. If using cereal, smash it in a zipper top bag until fine or put it in the food processor. 7. Sprinkle the cereal on the fish. 8. 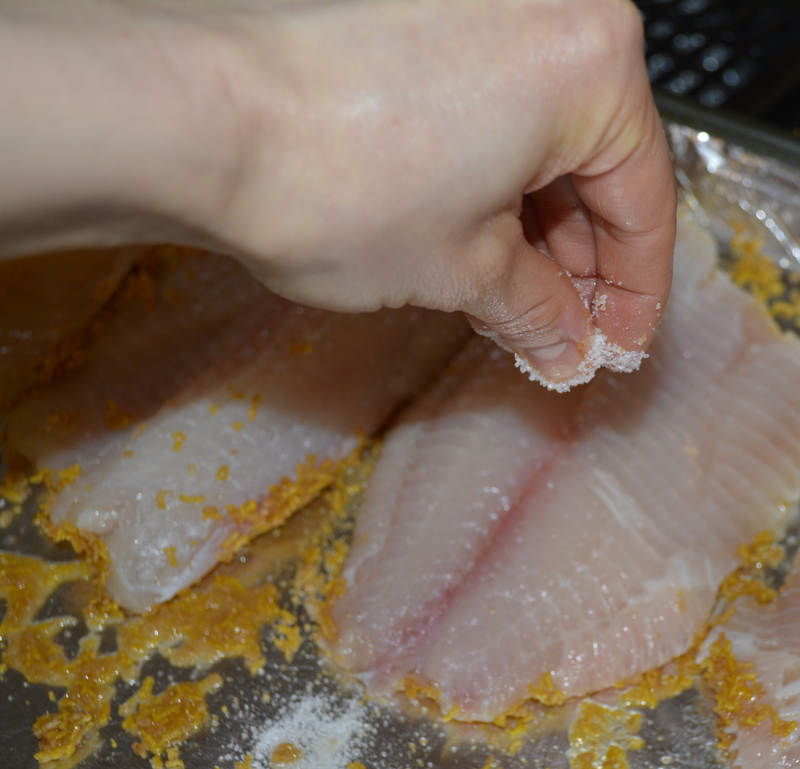 Hold up the fish and gently shake off excess. Hopefully, not too much falls off. Usually only a very, tiny bit falls off of mine. If a lot falls off, then you did not use enough oil. 10. Cook for about 20 minutes or until done. 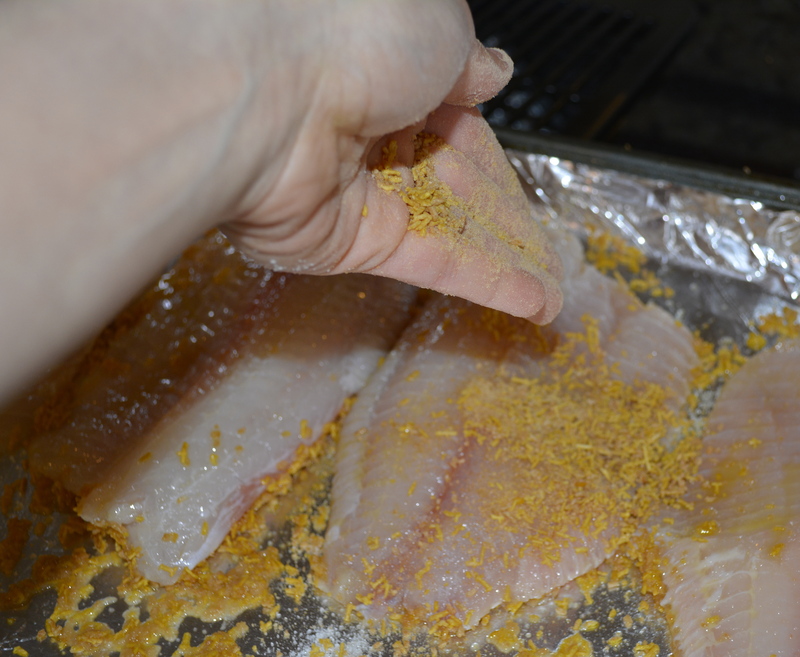 Fish will be flaky when done and crumbs will be toasty (not burnt, just toasty). 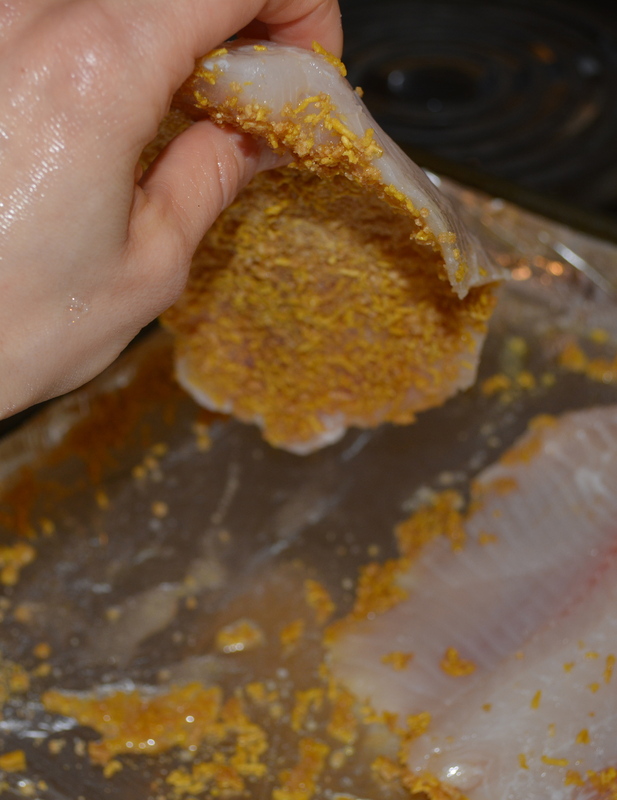 Posted in Allergy-Friendly Fasting Recipes and tagged breaded, fish on April 9, 2014 by Kristina.